ShowLiss Pro Steam Curl White,Showliss Official Store! 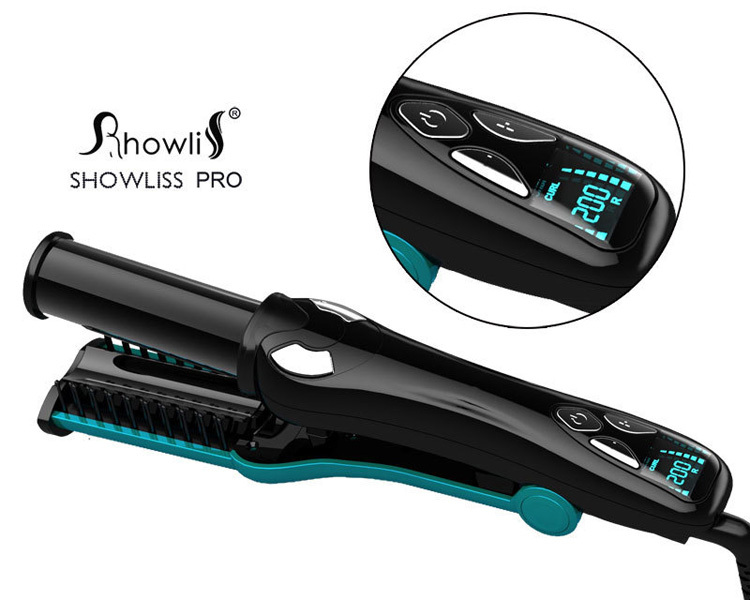 The Showliss has pioneering Auto Steam Curl technology to effortlessly create beautiful, free-flowing curls with long-lasting effect. Hair is automatically drawn gently into the ceramic curl chamber where it is softly held and gently heated from all directions to form a curl. 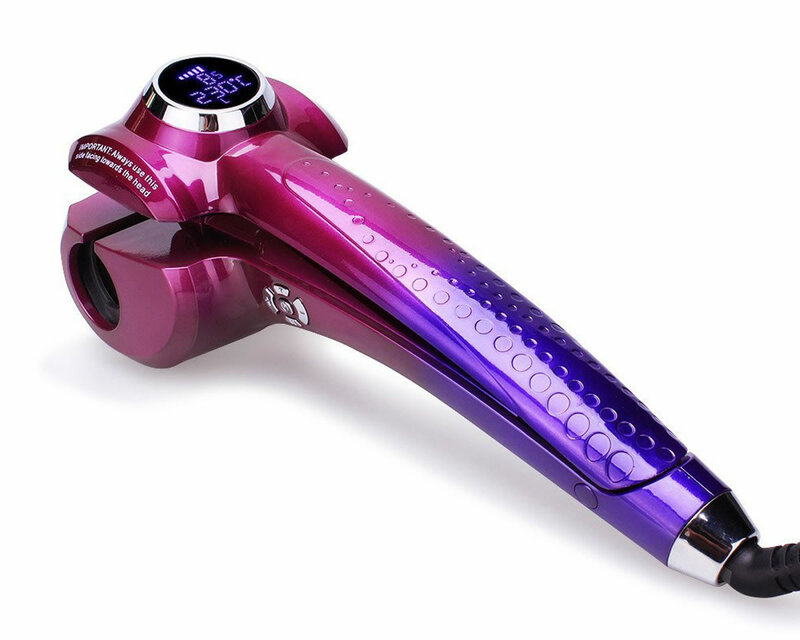 Simply release the styler from the hair to reveal the perfect curl. 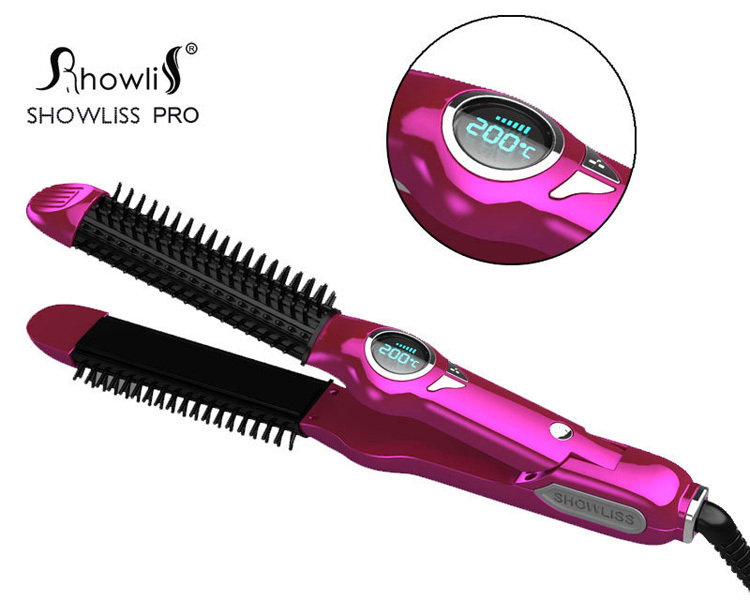 With 2 heat settings and 3 timer settings for different curl effects and an automatic curl direction for a natural finish. 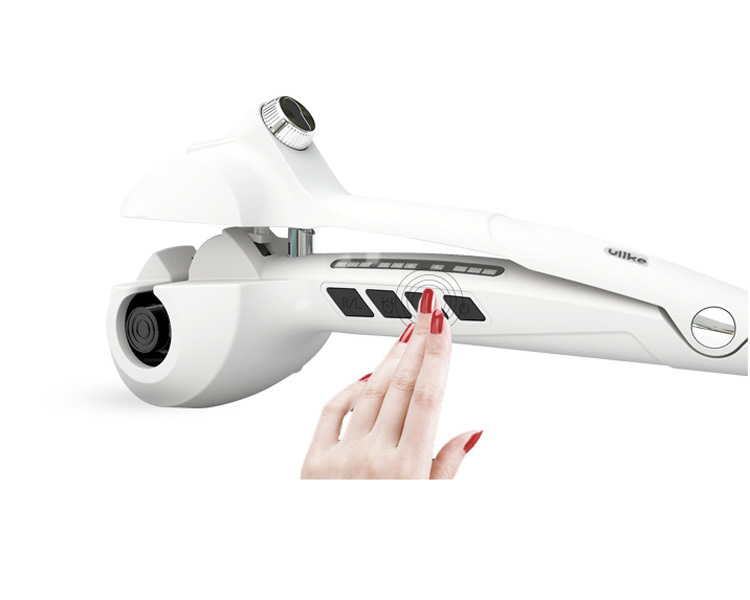 * Revolutionary Auto Steam Ceramic Curl technology to effortlessly create beautiful, free-flowing curls with long-lasting effect. 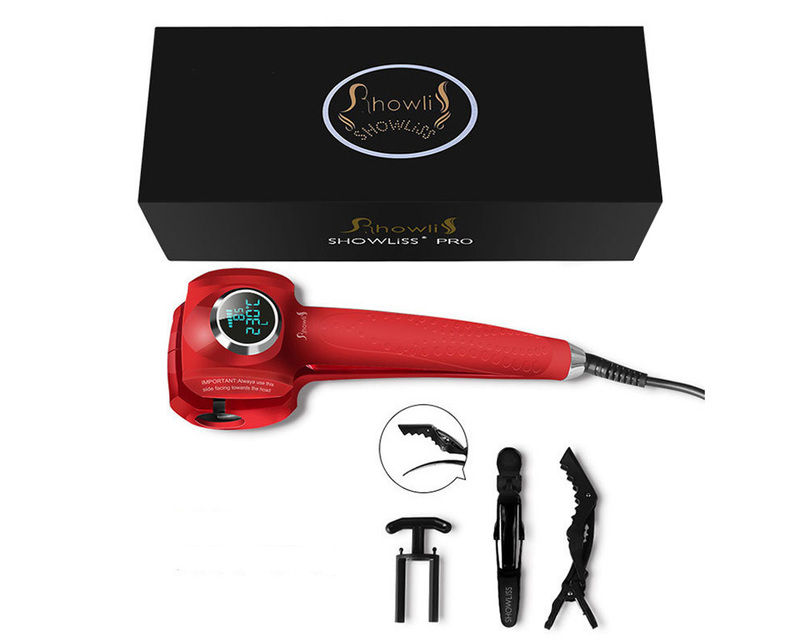 * Professional heating system for fast curl formation - hair is automatically drawn in to the Steam ceramic curl chamber where it is softly held and heated from all directions to form a curl. 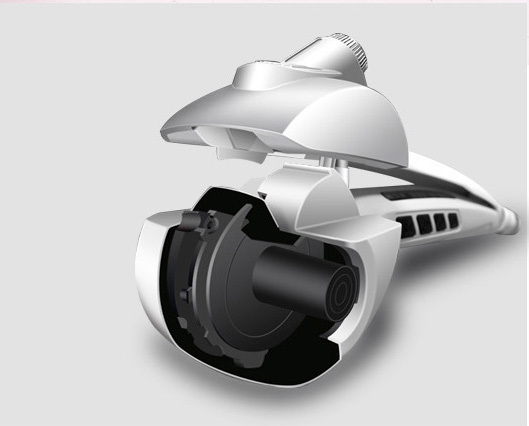 * Automatic Steam curl direction creates a natural finish in the hair by changing the direction of each curl as you style. * 2 heat settings and 3 timer settings with audio bleep indicator for different curl effects. 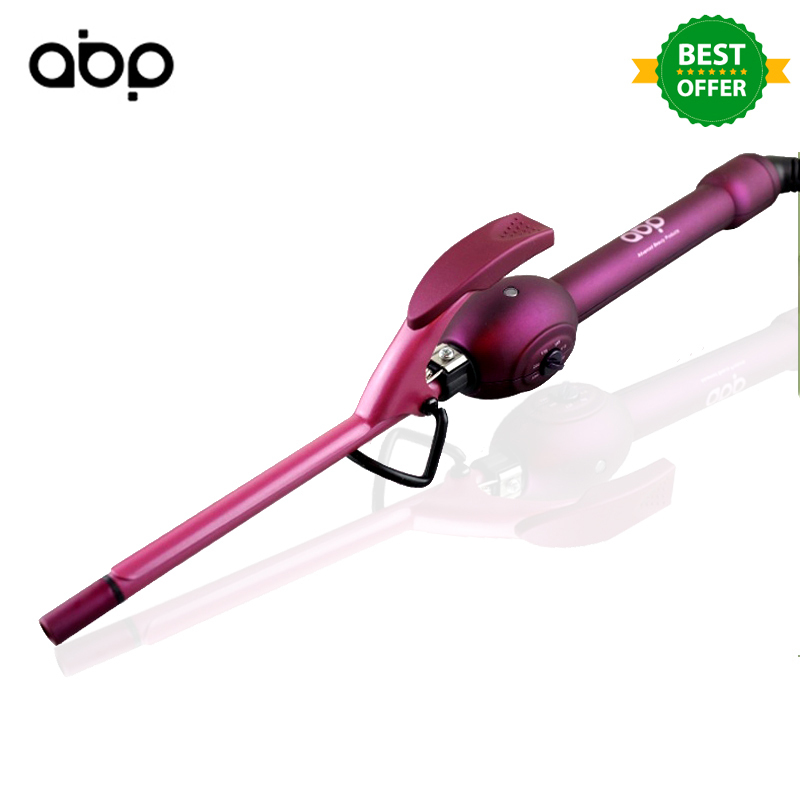 * Programme the styler to create free-flowing, natural waves or defined curls. * 2.5m swivel cord for control whilst styling. * Heat protection mat to protect surfaces whilst styling. Just the job ( she is so happy ) !! his is amazing. Watch to make sure you get the real deal. My hair is thick and usually doesn't hold curl. It does so well with this device. Easy to use! Easier to use on short hair but works great on long. I've gotten three other people to buy this just because they used mine...and they love it! How do I prep my hair to achieve the best curls? Just make sure your hair section is clean, dry and combed, then hold it straight as you place it into the hair guide in the curl chamber. How do I know when the Curl is ready to use? When you turn on the power, the red indicator light will flash. Once it becomes solid, the temperature has reached its set point and The Curl is ready to use. I have long hair; could it get tangled in the curl chamber? The Curl built in an added safety feature to make sure it doesn't! 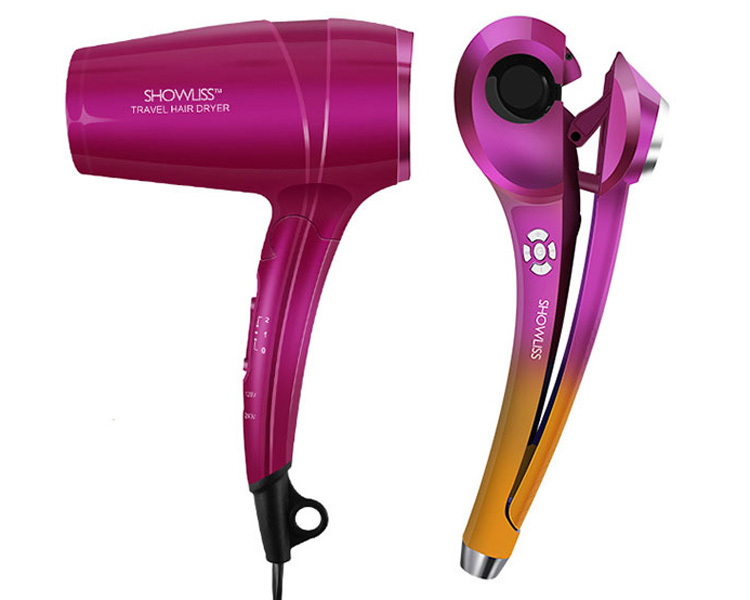 The styler actually stops if it senses a tangle. Just release the strand and start over. Can I use styling products on my hair with the Curl? Yes. As with traditional styling appliances, you can use styling products . 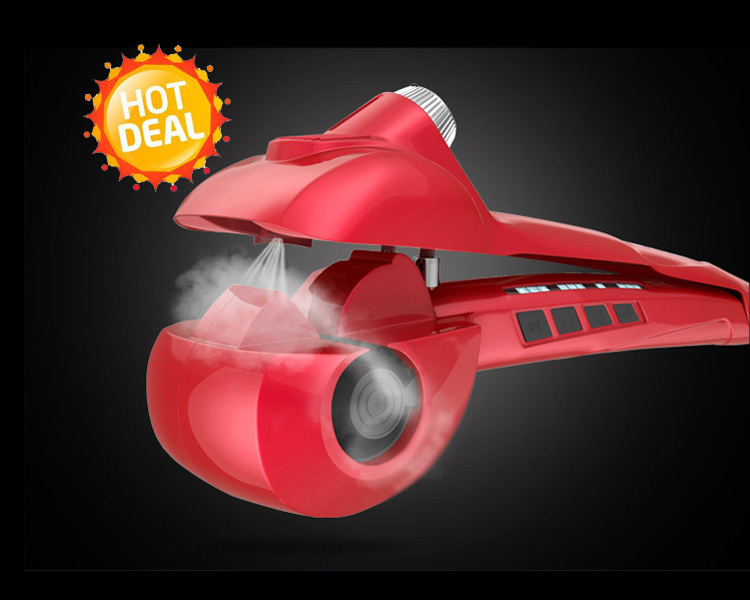 Any residue can be removed with the easy-twist chamber cleaner. I have curly or textured hair. Is a good styling option for me? Absolutely! 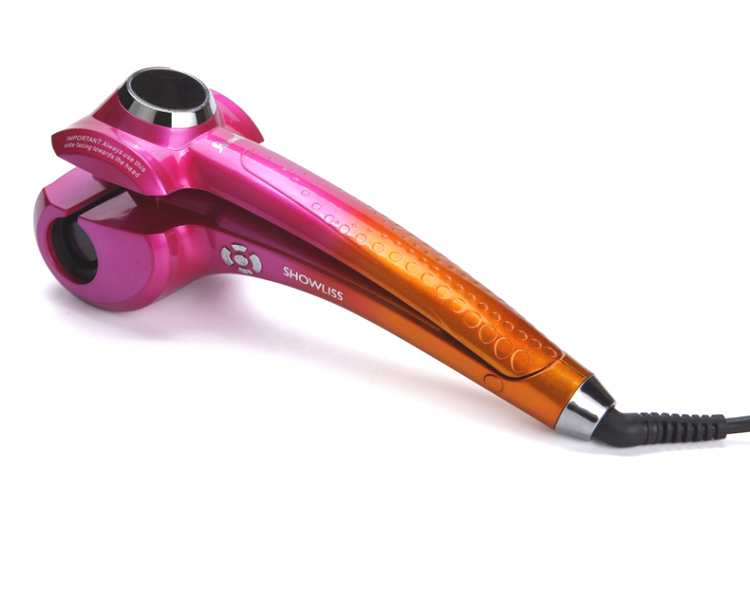 The Curl creates the perfect curl on any hair type or texture, one after another. And the tourmaline ceramic adds incredible shine. 1.Place a section of hair no longer than 1.5" wide in the "V" section of the unit. Make sure that the "open" side of the MiraCurl is always positioned facing the client's head. Position the machine where you want the curl to start. 2.Close handles. Hair will be automatically drawn into the curling chamber. 3.If you've chosen the setting for No Timing/Audio Signal Off (first position), simply keep the handles closed until you're ready to remove the hair. When you choose timed settings (8, 10, or 12 seconds), MiraCurl will start counting when you close the handles and then beep at regular intervals while the curl is being formed -- 3 times for 8 seconds, 4 times for 10 seconds, 5 times for 12 seconds. The machine will signal four beeps in quick succession when timing is complete. "R"--- Curling hair on right side of face, switch on R setting, inward curling. "L"--- Curling hair on left side of face, switch on L setting, inward curling. 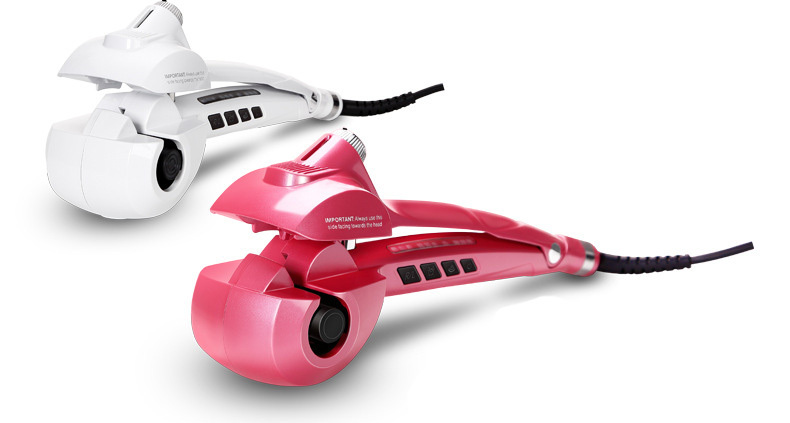 Note :Firstly, hair must be combed smoothly and dry, and then select one bunch of hair with width less than 3cm, pull tail end of hair to make the hair straight, put the hair into V-shaped groove, position curler to the hair place where you want to start the curling, Close up the curler, the curling block will roll the hair inside, and slowly loosen the grip. There are 3 timer settings with audio beep indicator. Three different settings will give different curl effects. The longer the time the hair is hels inside the curl chamber, the more defined the curl will be. But results will also vary according to the hair type. Use the following as a guide. Setting 12 (12 seconds=5 beeps)--for more defined curls. It's very important to regularly clean the curl chamber.This will prevent a build-up of product to ensure the curls produced are always perfectly formend. First Step:Ensure the appliance is switched off,unplugged and cool;Lightly damp the tool with warm water and mild detergent or soap. Quality problems can be returned? 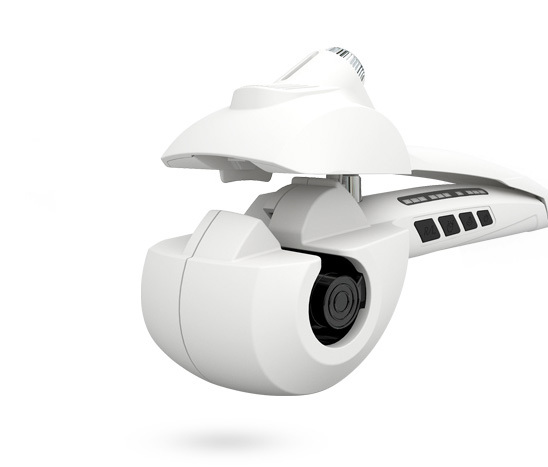 Within 6 months of quality problems we can return and full refund! how long it will take to deliver the product? All orders enjoy free shipping. We will prepare and send out your order within 1 business days after getting the payment. and then it takes about 2-7 days for the door to door delivery.